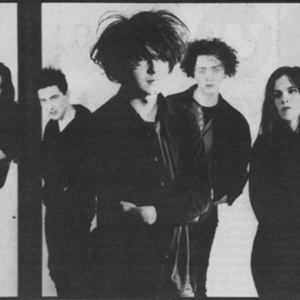 The Telescopes were formed in 1987 by Stephen Lawrie and could best be described as a noise/space rock band - The Jesus and Mary Chain, My Bloody Valentine and Spacemen 3 being influences and contemporaries. Their debut release was a split flexi disc with Loop on the Cheree label in 1988. There followed their debut single, "Kick the Wall", and "7th# Disaster" also on Cheree Records. They moved to What Goes On Records and released their debut LP, "Taste" and "The Perfect Needle" single which is perhaps their most famous song. Their debut release was a split flexi disc with Loop on the Cheree label in 1988. There followed their debut single, "Kick the Wall", and "7th# Disaster" also on Cheree Records. They moved to What Goes On Records and released their debut LP, "Taste" and "The Perfect Needle" single which is perhaps their most famous song. A live album appeared on Fierce Records and following What Goes On's bankruptcy they signed to Creation Records. A more laidback, baggy influenced sound followed and the band scraped the lower reaches of the UK singles chart with singles like "Flying", and released "The Telescopes", their second album, in 1992. It was a commercial failure and the band disappeared from the public eye. They toured again with a different line-up, new sound and all new songs in 1994 and later evolved into Unisex releasing a number of records. Unisex were Stephen Lawrie (Vocals) Jo Doran (Guitars/Backing Vocals) Nick Hemming (Guitars/Keyboards) Dan (Drums) Foz (Bass). In 2002 they made a surprise return with "The Third Wave" on Double Agent Records. By this time they were a core of just Stephen Lawrie and Jo Doran and were a much more experimental band specialising in electronic soundscapes. In 2005 they released their fourth album "The Telescopes #4" on their own Antenna Records. In 2006 The Telescopes line up again changed to Stephen Lawrie and Bridget Hayden. This incarnation continues in the experimental noise terror direction which has occupied The Telescopes since the turn of the century.They continue to tour, release singles and make numerous appearances on compilation CDs.